After a few outdoor stints last winter, I decided to stay inside and wait out the rest of the season. Winter scenery had become repetitive and I was more than happy to spend time reading, ruminating and becoming a typical basement goblin. But this too, got old. Teisha and I decided to break the monotony and go on a roadtrip and see some authentic daylight. From our home in Saskatoon, we drove to Saskatchewan's favourite playground: Prince Albert National Park. With such beautiful weather, the park was not half as busy as I thought it would be. We visited the Kingsmere River Trail and found some familiar sights we've only seen in brochures. Of course, photos rarely do justice compared to witnessing scenery in person, and I found myself conflicted over the assumptions I've made about popular national parks. We also checked out the Height-of-Land Lookout Tower, which offered a view of the dividing point between two major watersheds: the Saskatchewan River system to the south and the Churchill River system to the north. View of Beartrap Creek from the Height-of-Land Lookout Tower in early spring, Prince Albert National Park. 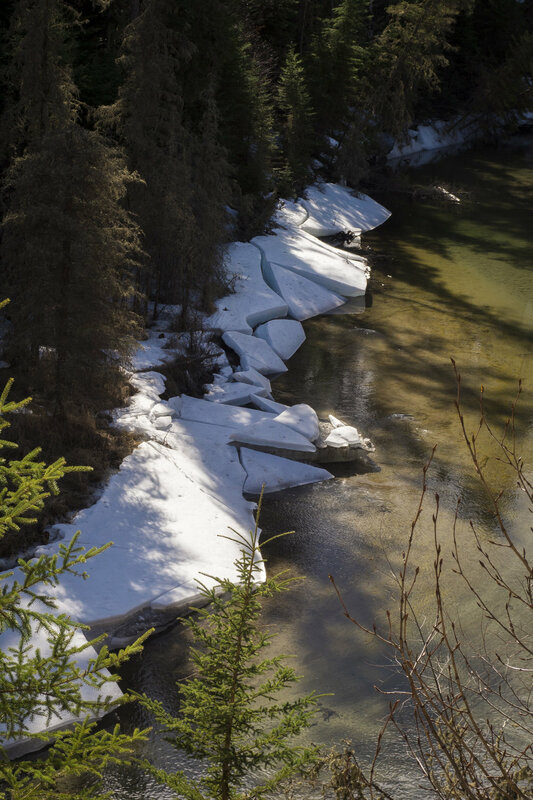 This marks a boundary where all south-flowing waters enter the Saskatchewan River, and all north-flowing waters enter the Churchill River. With paved roads (mostly), an abundance of hiking trails, backcountry campsites and gorgeous aqua-blue rivers and lakes, I started to understand why Prince Albert National Park deserved its fame. It keeps an incredible section of boreal splendor accessible to people of all stripes and skill-levels. While I enjoy climbing over fallen spruce trees, scratching ankles on rose bushes and being hundreds of kilometres out-of-reach of emergency services, there's something to be said about well-maintained public infrastructure, dangit.